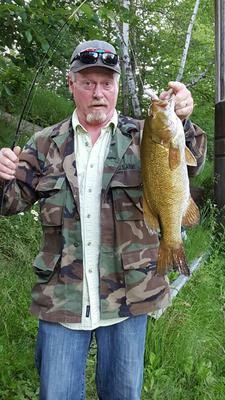 We caught these two fat smallmouth bass in the Rifle River of Northern Michigan using 3 inch red and white tube baits. Those are some really nice good sized smallies. Great job getting them turned onto the white bleeding tubes. Join in and write your own page! It's easy to do. How? 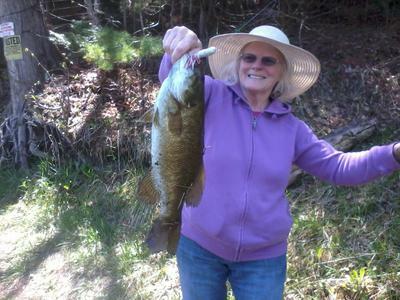 Simply click here to return to Smallmouth Bass Pictures.